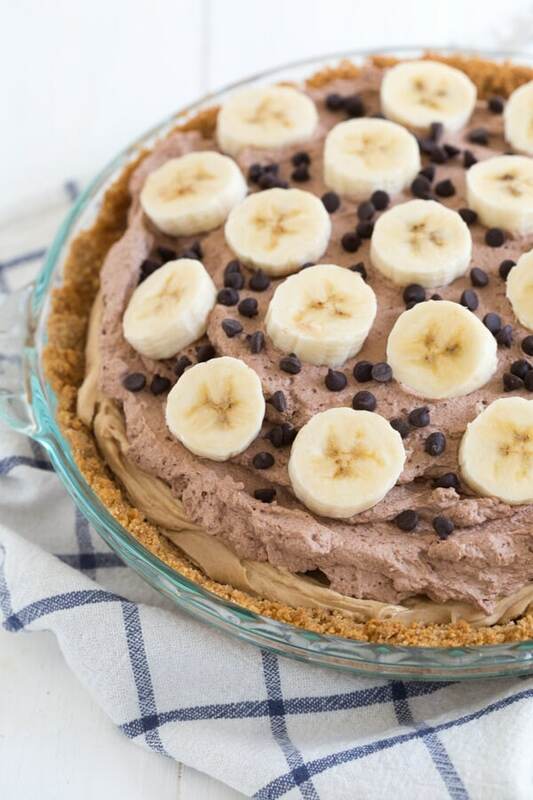 Chocolate Peanut Butter Banana Pie is made with a creamy peanut butter layer topped with homemade chocolate whipped cream and slices of fresh bananas and chocolate chips! Happy Pi Day! Or is it pie day? As far as I’m concerned, today is a day to celebrate pie. 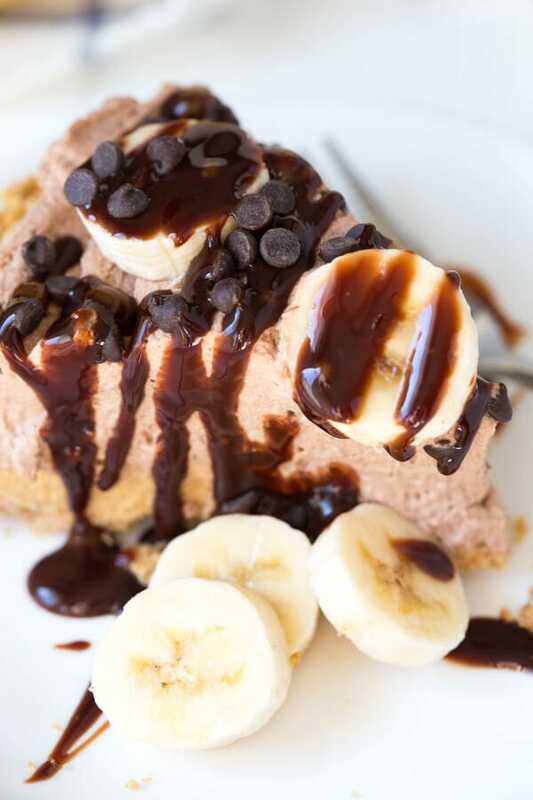 Chocolate Peanut Butter Banana Pie tastes just as good as it sounds. 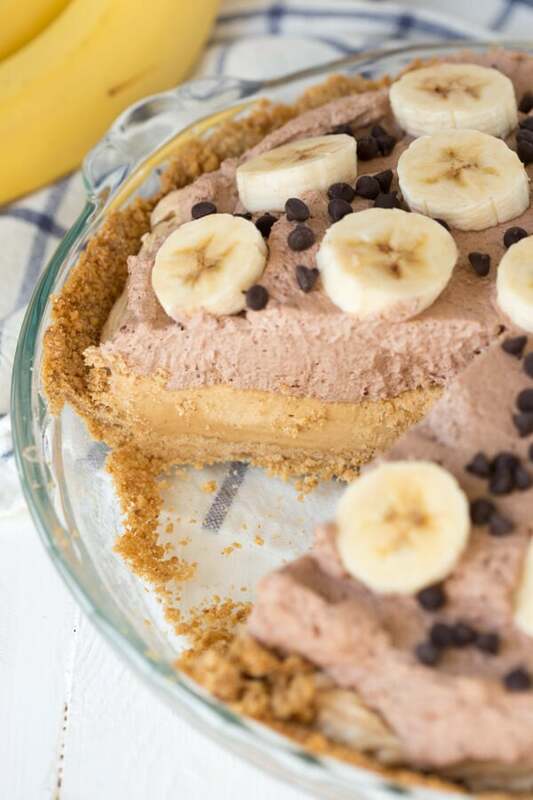 A graham cracker crust is topped with a simple creamy peanut butter filling, whipped chocolate cream, fresh sliced bananas and mini chocolate chips. Serve the slices of pie with additional chocolate sauce for an even more deletable creation. One thing I learned from making this pie is that I need to make chocolate whipped cream more often. Not only is it easy, but it tastes so good! I simply add cocoa powder to homemade whipped cream to create the irresistible chocolate flavor. Don’t wait any longer! Head over to the KitchenAid blog to see this special pie recipe I developed for Pi Day. 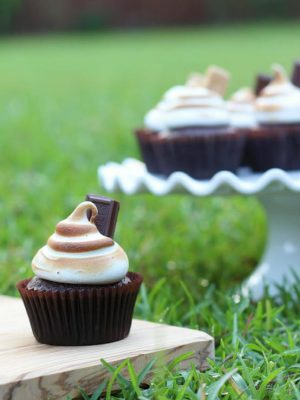 Visit the KitchenAid Kitchenthusiast blog for the recipe. Gah. Absolutely delicious. I'm also having serious stand mixer envy. Altho I think the fact that I don't own one is the only thing preventing me from gaining 100 pounds. Thanks for linking up at Saucy Saturdays. 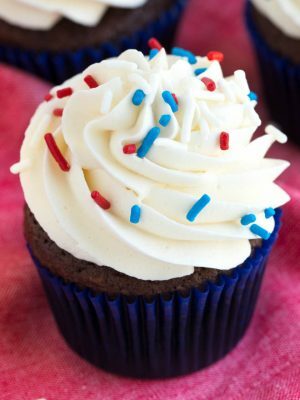 You had us at chocolate whipped cream! This is going to the top of our to-bake list! Thanks! I bet this is yummy! Thanks for sharing at the Inspiration Spotlight party. Pinned & shared. 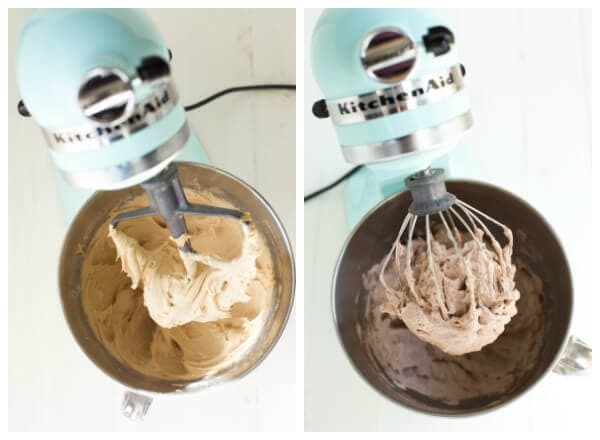 That looks delicious and I love the color of your mixer! Thanks for sharing at Throwback Thursday! This pie looks amazing. I'd love to try it with almond butter. Thanks for linking up with us! This recipe looks amazing! Pinned and shared! Wow wow wow this pie is beautiful and I want to eat it today...even though it is no longer pi day. But everyday can be pie day, right? I can't resist the peanut butter and chocolate, and that chocolate whipped cream!! I am in love with the combo. This looks so beautiful and delicious! Yum!! This pie is the best way to celebrate Pi Day! Banana, chocolate, and peanut butter is one of my favorite combinations in desserts. Mmm I feel like this is totally appropriate for breakfast due to the bananas... Right?? I'll take some of that chocolate whipped cream right now!! This pie looks amazing! Wow, Ashley, this sounds absolutely SCRUMPTIOUS. 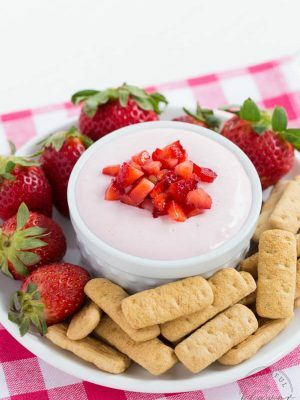 Love the combination especially with the graham cracker crust!!! I can never resist the combination of peanut butter and chocolate! Oh wow, Pie Day perfection going on here, Ashley! 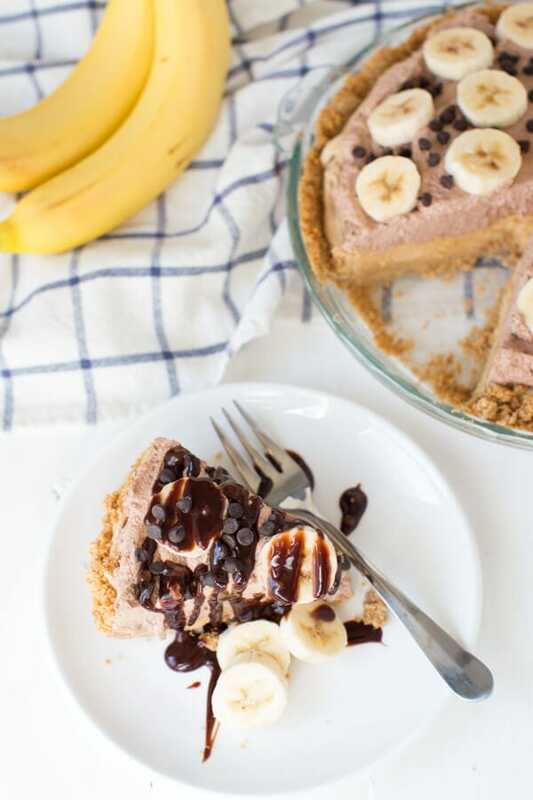 Peanut butter, chocolate, bananas and a graham cracker crust?! SOLD! This looks fabulous, dear! Cheers! Yes!! I'm smitten with this pie! 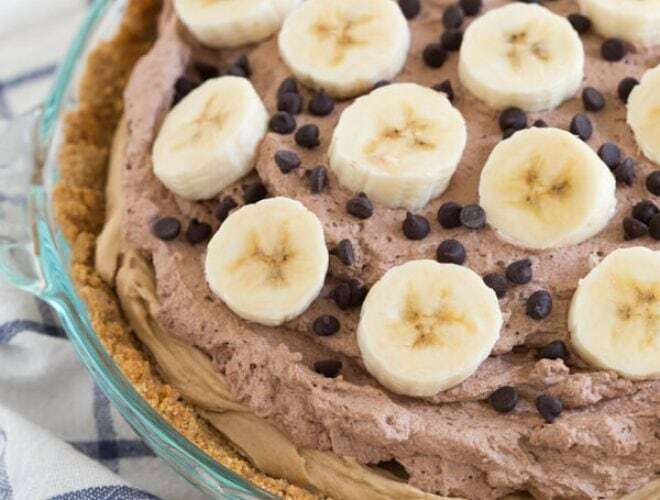 Chocolate, peanut butter, and bananas are phenomenal together! It just doesn't get any better than peanut butter and chocolate! !